It was a good weekend to be a Landwehr. We went to St. Paul this weekend to help Rob and his family with some painting/staining projects and got more than we gave, as usual. By this I mean that we were so uplifted by the love and support and joy of our family that what we came to do, paint a fence, actually became a side project to the bigger one of connecting with family. It started with stopping by Mom's place where we had an hour and a half chat with her and my sister Pat. It was great to see Pat again and catch up with all that they were doing. We moved on to Rob and Jane's next where the cousins immediately reconnected and went off to their lair in the basement. They are such good friends and enjoy each other's company so much. It helps us adults have time to catch up on all that's new with us. Donna and I treated Nick and Janet to dinner at Senor Wong's in downtown St. Paul. It is an eclectic blend of Mexican/Asian food (hence the name) owned by a friend of Nick's. We were not disappointed in his choice as the food was outstanding. Better yet was getting one-on-one face time with the two of them. They are recently engaged and we were anxious to hear their plans. Rumor was a destination wedding in Fiji, but they quickly disclaimed that as a pipe dream. They want a destination wedding but are just not sure where yet. When we got back to Rob's place he was up waiting for us to watch a movie. We don't get that option often, so stayed up and watched with him. The movie was disappointing, but it was great sharing some laughs with him. Saturday was paint day, and paint we did. 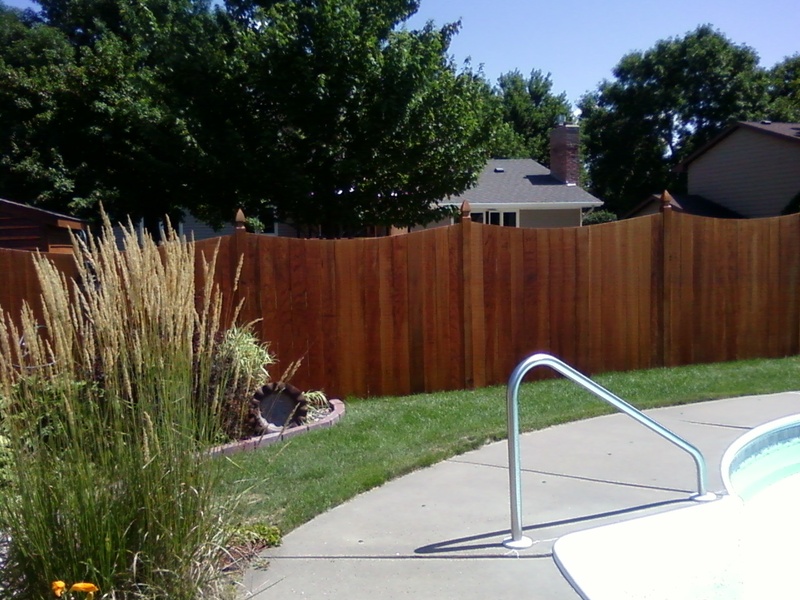 Shed in the morning, fence staining in the afternoon. My brother Tom came and helped in the late afternoon and my niece Steph and her boyfriend Derek came and took care of the kids for the evening. It was a long day of music, hot sun and paint. The cedar fence we stained looked spectacular when all was over and done with. A job well done. After a dip in the pool (me) we had dinner and watched the Vikings preseason game (in the background) while we talked. We had some great laughs the three of us, recounting old times and old friends. After the game, Tom left and Rob and I continued our chatting until midnight. We talked about everything from college experiences, to hospice questions, to heaven and all things in-between. The whole deal was a magical evening that I'll never forget. Sunday we woke at 8:00 and started right in on the staining at 9:00. By one o'clock we were done with the rest of the fence and started to pack for the trip home. We woke Rob up from his long power nap. He was wiped out from the previous night's festivities and so slept most of the morning and into the afternoon. It was an especially difficult goodbye for me as I knew the next time I come he'll be in in hospice care. I gave him an extra hard hug and he seemed to return it as well. So, for a weekend that was supposed to be all work and no play was much more than both. It was proof to me of the value of family, ALL family at every level; mother, sister, brother, niece, nephew, in-laws and future in-laws. They form the net we need to catch us when we're free-falling through a tragedy as big as we are right now. They are beautiful, loving, caring people who are genuinely concerned with how I am doing, how the family is doing. They are my family, and I love them infinitely.